What if…the star crossed lovers had not died but are married and it’s not going so well? It turns out Romeo & Juliet didn’t die in a tragic misunderstanding, they grew up and lived happily ever after. Now they’re 40ish, at least one of them is in the grips of a mid-life crisis. They feel constantly mocked by their teenage selves, and haunted by the pressures of being the poster couple for romantic love. They have decided to confront their current struggles by putting on a performance – about themselves. Their therapist told them it was a terrible idea! 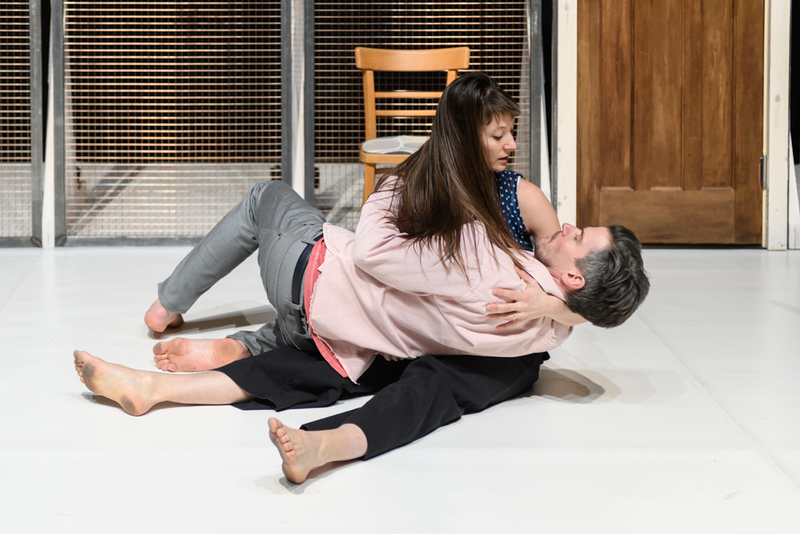 With Lost Dog’s blend of dance, theatre and comedy, this duet takes on our cultural obsession with youth, and our inevitable issues with longevity. Set to a powerful soundtrack; (Prokofiev, The Beatles, Simon and Garfunkel, Sinatra), this is a no holds barred powerful dance/theatre show, with adult themes and some bad language. There will be a licensed bar, with a wide range of craft ales, cider, wine, and soft drinks available.